Destiny “Live” Center for Performing Arts organized in the year 1992 under the legal name Destiny in Hymn, Inc. At first, it produced a locally televised gospel music program that eventually became known as the Destiny Gospel Artists Showcase (DGAS). Many of the local artists who made their way into the program were talented youth and, by 1994, it became apparent that children served by destiny very much wanted, but did not have, programs that would expose them to instrumental, equipment, and vocal training in the field of music. In 1995, DGSA became a 501© (3) not-for-profit organization and elected to fill the program gap that our youth had highlighted. The board of Directors established the destiny Live Center for the Performing Arts to carry out the vision of assisting talented children in fulfilling their dreams of exploring the world of becoming music professionals. In 1998, DGAS superseded the name Destiny in Hymn and became the legal operating name of the organization, d/b/a Destiny Live Center for the Performing Arts. Between 1995-2001, Destiny provided instructional and recreation music programs for a variety of community organization, including the Indianapolis Public Schools, Marion County Juvenile Detention Center; the Fall Creek YMCA, and the various neighborhood centers and churches. Additionally, the agency operated a community youth choir comprised of children from all these sources. The Board is currently searching for a donation- eligible or low-cost structure with suitable space for offices and programs in the near-downtown Indianapolis area as it continues its remarkable tradition of giving yearly book scholarship. Eventually, Destiny would like to open an accredited instructional school for young people. Priscilla came to Indianapolis in 1990 from her native state of Ohio. Priscilla is married to Rev. Clarence D. Bolden Jr. and a proud mother. Priscilla family is rich in musical talents and philanthropy. Priscilla previous work experience includes a stint as a leasing Representative with Sexton Companies, The American Heart Association and a year or so as an office manager for a local dentist. In 1992 she was led to establish what would become Destiny Live Center for the Performing Arts, a music -based education and community center devoted to bringing at-risk kids into the mainstream of academics and relieving educational boredom. 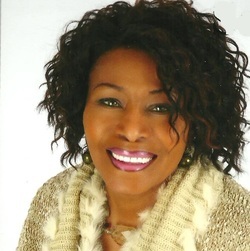 For several years Priscilla hosted a local gospel television show backed by Destiny which has since evolved into teaching curriculum of various musical instruments, tutoring, and mentoring. She has worked extensively inside the Indianapolis Public Schools the Marion County Juvenile system, and collaborated with dozens of community organizations serving youth.